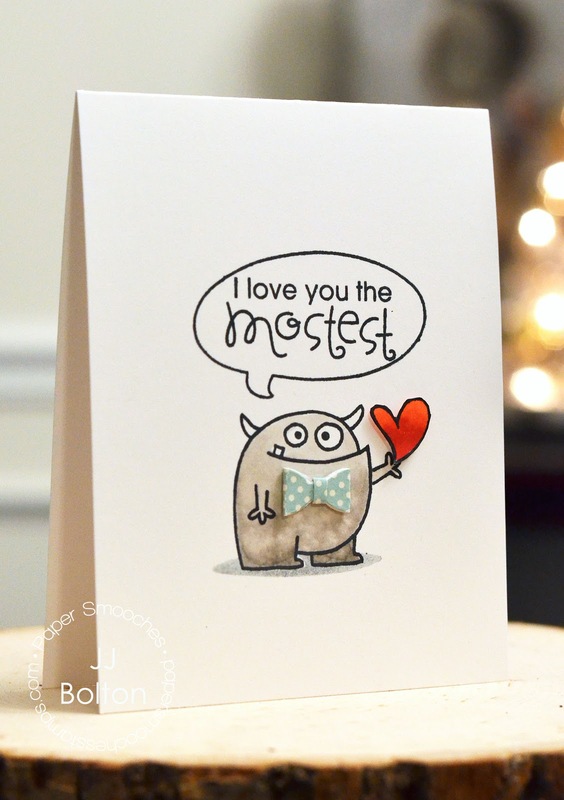 Just a sweet little Valentine's Day card today:) I have a simple Valentine's Day card today with my favorite Paper Smooches monster dressed up with a little 3D bow tie. I love his underbite, lol! Hope you and your honeys have a wonderful day! The monster card is so adorable - love the little bow tie! I love that your monster is all gussied up with his bow tie. Too cute. What nice cards. I love the little bow tie on the monster card. I really like the soft, elegant feel of the second card. Really great design. Two really fabulous cards, JJ! Love how you created the shaker element on the 2nd one so much! 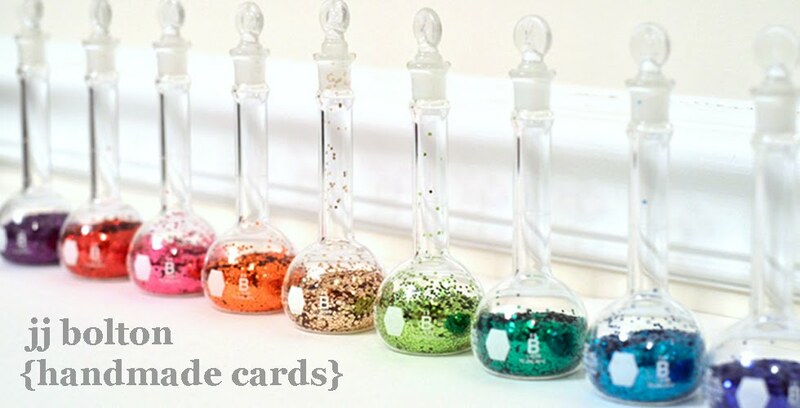 Simply, perfect cards! Love them! Happy Valentine's day, JJ! Enjoy! FABulous cards...love them both especially the first one...DARLING. I love the little bow on the monster and love the subtle shaker in the church. Aw, that little monster is so darn cute! Love his bow! And what a beautiful wedding card! All the subtle details are fabulous! Your little monster with his bow tie - so cute! 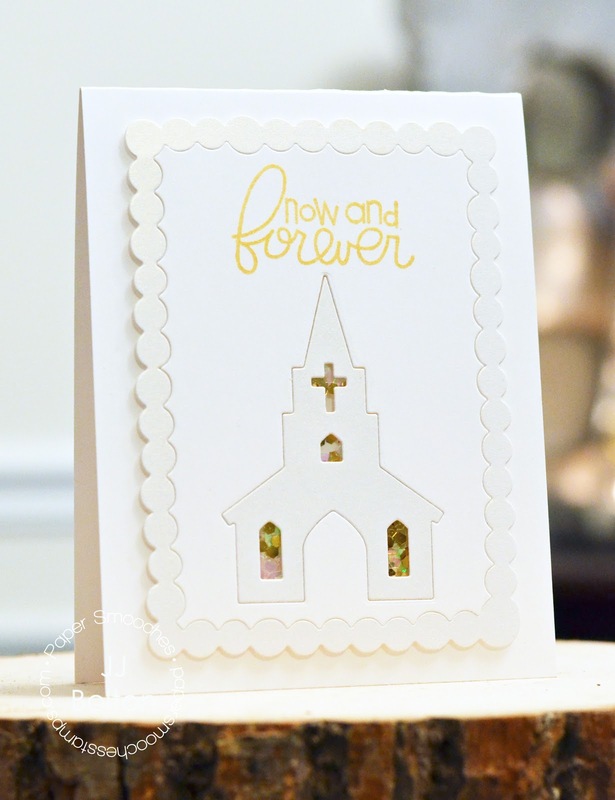 I love the church shaker, it's very elegant! Oh, I love that monster card. I love the sentiment. This card rocks!